Laser cut keys are not like the ordinary metal car keys that any hardware store can make for you. Laser cut car keys are made with advanced laser equipment that can duplicate a key with absolute precision. Only highly trained DC auto locksmiths know how to use the laser key cutter with precision to give you best results at the most affordable prices. DC Local Locksmith Experts is a leading provider of laser cut keys for drivers in Washington, DC and surrounding areas. Our clients hire us for our fast and friendly, complete DC locksmith service that is unmatched in quality and professionalism. 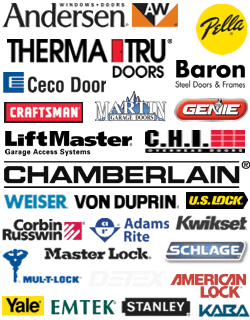 All of our expert technicians have at least 5+ years experience in solving all types of lock problems. If you need a reliable locksmith in the District of Columbia, we are the ones for you. Laser cut keys are highly sophisticated. They are not like the ordinary metal keys that any hardware store can make for you. 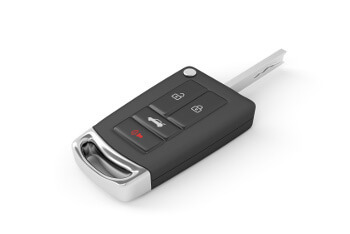 Laser keys are made with advanced equipment that can duplicate a car key with absolute precision. Only highly trained lock professionals, like our expert technicians, know how to use the cutter with precision to give you best results. Laser cut keys are hard to duplicate for security’s sake. That is why many car manufacturers choose to use them on their car models. Perhaps you have thought about getting an extra key for your car, but hesitated because the car dealership charges an exorbitant amount of money just to make an extra key for you. If you call DC Local Locksmith Experts, we can make you a duplicate at a fraction of the cost while offering you the best quality in craftsmanship. We always give you upfront pricing so you can see how much money you can save by using our service. Another instance that you may need an extra car key is if you lock yourself out of your car. It only takes a second to be distracted and shut the car door before you realize that your key is locked in your car. When that happens, there is no need to panic. Just call our fast and friendly automotive locksmith service. One of our mobile locksmiths will come to your location within a 30 min response time. We can get you back into your car no matter if you call us in the evening, during the weekend or holidays. You can count on our 24/7 locksmith service in Washington, DC to be there when you need us. We make laser car key replacements for foreign and domestic car models. When you see the high quality of our laser cut keys, you will be impressed with how precisely your replacement key matches your original one. Our prices are very competitive and much better than what you can find from a car dealership. We pride ourselves on offering the best customer service in the locksmith industry. 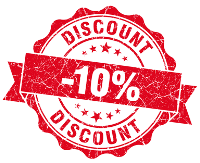 We always offer upfront pricing in any locksmith service that you need from us. There are never any hidden fees or surprises in your cost. You can rely on us for our honesty and professionalism every time. Our customers are our most valuable assets. We are committed to your service satisfaction. We have some of the most experienced and skillful locksmiths in the industry, all of whom have at least 5+ years’ experience. Our locksmiths are trained in the most advanced lock systems for homes, businesses, and vehicles. They are all bonded and insured. Our products and workmanship are guaranteed to exceed your expectations from an honest and professional locksmith service. You can rely on our 24/7 DC locksmith service to be there for you any time you have a lock emergency. While many locksmiths only work normal business hours, our locksmiths are available to help you any time you need. We are proud to have one of the best reputations in the Washington, DC and surrounding areas for our dependability and experience in all lock-related services. This sets apart from our competition. If you have any questions about laser cut keys, lock replacements, or lock systems for your car, home, or business, give DC Local Locksmith Experts a call. Our lock experts will be happy to discuss your options. We can evaluate your needs and offer advice on the best lock solution that will fit your needs and your budget. Auto theft is on the rise, and we know that the security of your vehicle is one of your highest priorities. We will offer you the best advice in how you can improve the security of your car. Our automotive locksmiths are among the most knowledgeable and experienced in the industry. If you need laser cut keys or any of our other residential, automotive, commercial, or emergency services, call us 24 hours a day, 7 days a week to find out what we can do for you. Laser Car Key Cutting https://dclocallocksmith.com/automotive-locksmith-dc/laser-cut-keys-dc/ 3.8/5 based upon 18 reviews.